Practical Resources for Better Health. 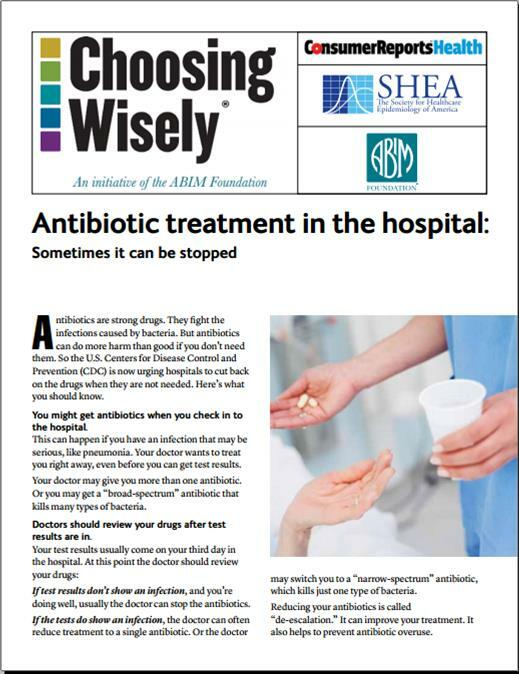 The Central Penn Business Group on Health as well as the National Alliance of Healthcare Purchasing Coalitions has partnered with ABIM Foundation to promote the Choosing Wisely ®campaign which promotes conversations between clinicians and patients about overuse and responsible stewardship of resources in healthcare. The campaign helps employers encourage their employees to get involved in their health care so they can have informed conversations with their physicians. To support this program, ABIM created educational brochures and videos that identify hundreds of tests, treatments and procedures to avoid as well as questions to ask. The Central Penn Business Group on Health believes access to these valuable tools syncs well with our mission to promote the continuous improvement in the quality and cost of healthcare for our member companies, their employees and dependents.